Stretching my supplies is something I love doing. Especially using a particular stamp set or a die in more than one way not only stretches my supplies but also makes crafting fun. It makes me think outside the box. 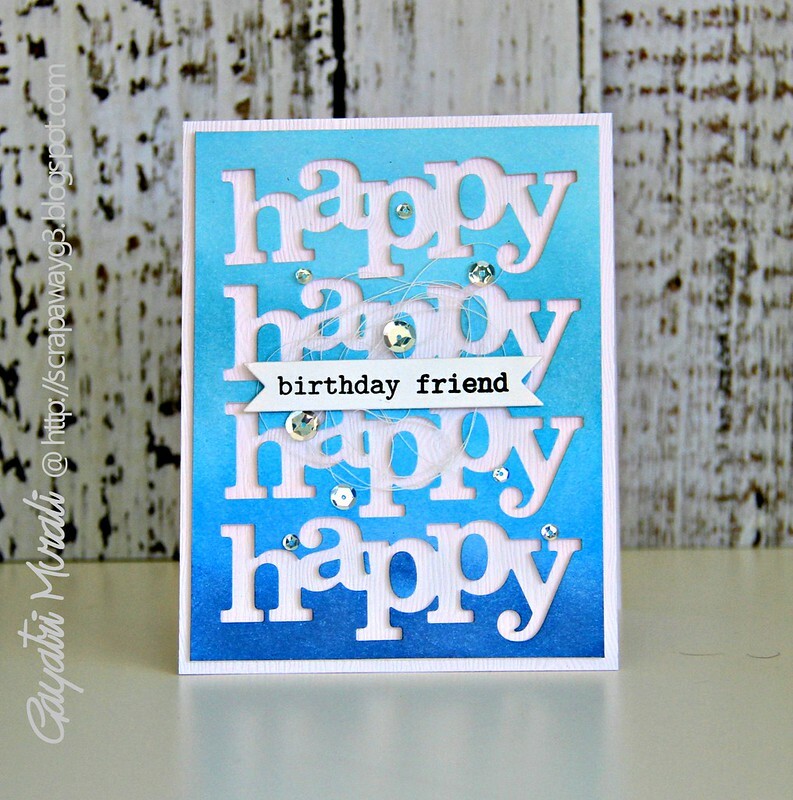 In this post I am sharing a full card using the negative die cut and a sneak peek of the positive card. This is one of the easiest way to stretch your dies. I have used In a Word: Happy cutaway from Winnie & Walter to die cut from a blue ombre sponged panel. I saved the positive words and used the negative panel on my card above. 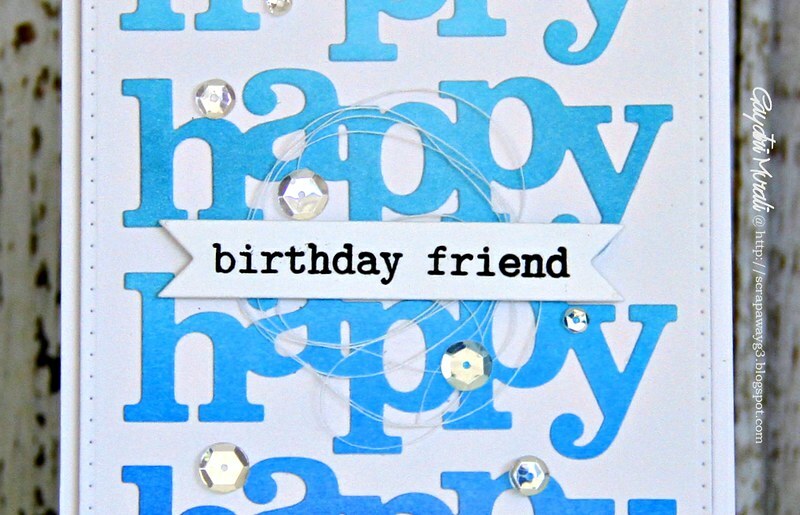 Then used the positive words to make another similar looking card. Here is a sneak peek of the positive card. If you want to know more about the cards, then check out the latest Australian Cardmaking Stamping and Papercraft magazine.You can see both the cards next to each other with the supplies and instructions to make them. The magazine is now available to purchase from supermarkets and news agencies. If you like to subscribe to the magazine, then here is the link for you. Perfection, Gayatri! Love them both…I need to do this! Love stretching my stamps! congrats Gayatri. I just love seeing your cards in this magazine. My book store is so far behind I just picked up the time before one. And I saw that you had a couple of big articles. Congratulations Gayatri!! Love both cards! !